If you run a business, you’re going to want to have a credit card payment processing solution in place to make sales. Here are your best options. Maybe you’re not seeing enough profit in your small cash-only business or you’re an established business that’s ready to move on from being unfairly charged by your processing company. 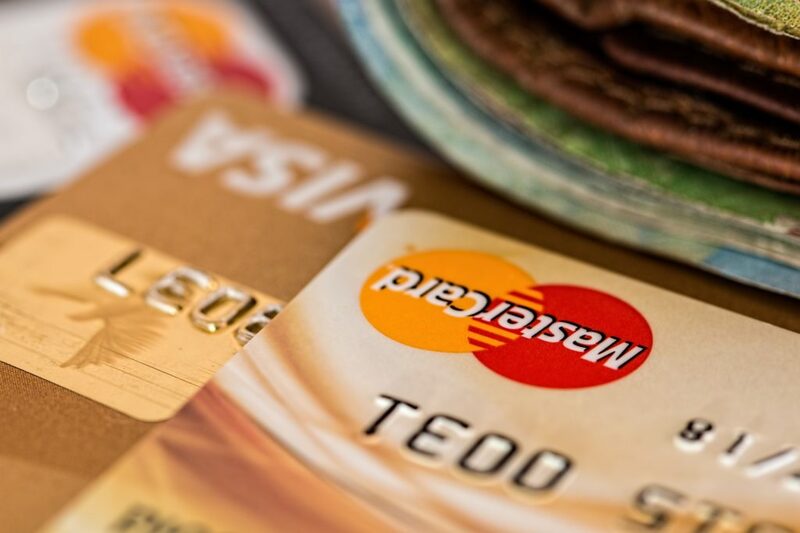 Whatever the case is, choosing a credit card payment processing service is important for your company’s finances as well as for your customer’s satisfaction. Some consider Square to be the best credit card processing service, specifically for mobile use. However, it’s not limited to on-the-go businesses. It also offers online payments for a variety of companies. Square has policies that are easy to understand and doesn’t have any hidden fees. One of the best parts about this processor is that it charges the same fee for different types of credit cards. This can come in handy if your company has a low amount of credit card purchases per month or if your clients often use reward or premium cards. You won’t find account fees with Square–there aren’t any costly monthly, chargeback, setup, or early termination fees that are great if you’re looking to save money. Helcim is very open about its prices, as its fees are displayed online. You shouldn’t expect to see any secretive fees charged on your monthly bill. You’ll be paying $15 per month if you sell in-person, $35 per month if you sell online, or $50 if you sell online and in-person. Credit card processing reviews cite that Helcim’s rate for in-person purchases is actually lower than normal. Better yet, your rate is guaranteed not to go up while you use it. However, they do charge some additional fees for things like chargeback and business name changes. In addition, Helcim comes with online invoicing, QuickBooks integration, a free POS app, as well as access to processing equipment. You’ll also be able to accept the most popular credit and debit cards, while utilizing Helcim’s platform that makes it easy to manage your finances. This company is perfect for high-risk businesses. If you run a business that involves dating services, timeshares, debt collection, travel, adult websites, bitcoin, or the online gaming industry, your business is considered high risk. High-risk businesses need to use a processor that’s able to cater specifically to its industry. High Risk Solutions offers affordable rates with tons of features. You can take advantage of customer processing services, mobile processing, virtual terminals, electronic check processing and more. Many people have a PayPal account, making it one of the most convenient and best credit card processors. It’s also ideal for small businesses that don’t process a lot of credit cards in one month. With its pay-as-you-go policy, small businesses won’t be slammed with fees. You’re able to process credit card charges online and in-person. You can even accept payments through email, on your website, with a virtual terminal, and through the PayPal app. PayPal charges you 2.7 percent for in-person payments, while online sales will cost you 2.9 percent of the purchase with an added 30 cents for each payment. Flagship Merchant Services is a well-known credit card processing brand that’s used in popular companies like Verizon and Subway, but it’s also used in smaller businesses as well. You won’t have any early-termination fees with Flagship–all of its services are provided monthly. That means you can easily change your processor if you find that it doesn’t work for you. Flagship has a tiered pricing model, as well as an interchange-plus. The default tiered-pricing model charges different rates for different types of credit and debit cards, while interchange-plus is focused on small businesses that want to have the same low cost that’s offered to bigger companies. Flagship will also provide your company with a POS system, a mobile payment option, or a virtual terminal. Stripe is one of the best credit card processing companies for online businesses. It easily integrates with a variety of software and applications. You can use Wix, Squarespace, Weebly, WooCommerce, Shopify and more with Stripe. Stripe won’t charge you any hidden fees and offers the same rate for all credit cards, excluding international. Expect to pay 2.9 percent with an additional 30 cents for each payment. Stripe accepts more than just the major credit card companies and also allows for your customers to use digital wallets. Fortunately, you won’t have to worry about any additional monthly fees, refund fees, or PCI compliance costs with Stripe. You should consider National Processing if you own a medium or large-sized business. Not only do they offer in-person transactions, but they also provide you with mobile and online payment options as well. Your business should be making more than $10,000 in a month to benefit from using National Processing. You’ll be paying $9.95 per month. Like Flagship, you have the choice of tiered or interchange-plus pricing depending on your preference. You won’t be able to instantly cancel your service with National Processing–you’re bound to a three-year contract that’ll cost you about $250 to cancel. If you’re familiar with QuickBooks, using QuickBooks’ payment services might be an easy option for you. Your charges are easily transferred to your accounting software of choice. QuickBooks offers POS software, as well as a mobile card reader. QuickBooks has two plans you can choose from. Smaller businesses should go with the pay-as-you-go plan, which charges 2.4 percent for in-person purchases, and 3.4 percent for online payments with an additional 25 cent fee. Larger businesses can choose the monthly plan which costs $20 per month and requires a lower rate per transactions. Choosing the right credit card payment processing service can save you from having to pay tons of hidden fees or costly monthly payments. The best credit card processors won’t take a lot of money out of your wallet and will offer plenty of useful features. For more advice on running your startup, check out our blog.